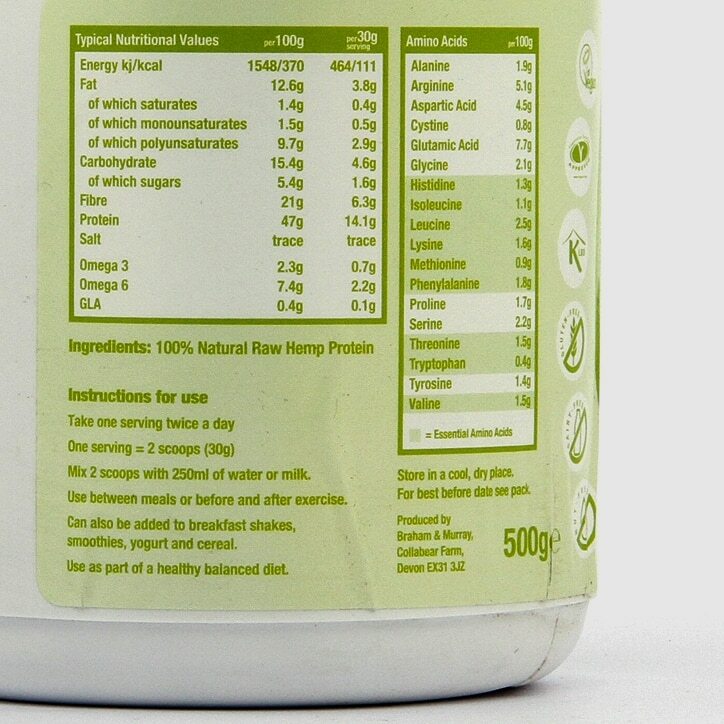 Braham And Murray Natural Hemp Protein Powder is rated 4.7 out of 5 by 22. Rated 3 out of 5 by Ernesta from Strange flavour It blends perfect but taste is really bad. Unless you are planning to use it in smoothies. I been trying it with different dairy free milk alternatives, nothing helped. Rated 5 out of 5 by LollyEast from Great taste and texture I love this product. It blends perfectly in my smoothies and the taste isn't too strong. It's low fat, little to no sugar and high protein. A much healthier alternative to the additive filled competitors out there. 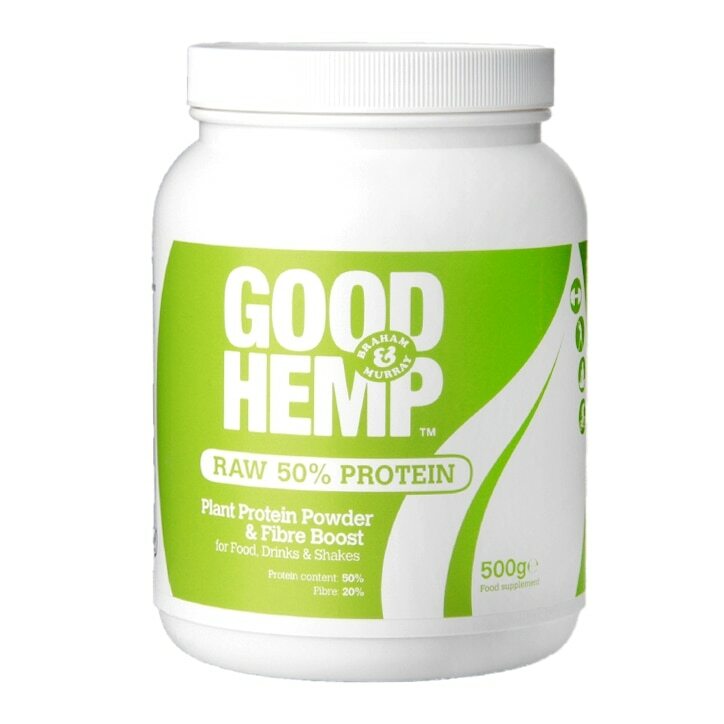 Rated 4 out of 5 by Peace13 from Great product Great natural product very happy good quality - won't use other protein powder after this one as most other protein powders have artificial sweeteners! Rated 5 out of 5 by Adi72 from Very good I bought 2 as they were on offer. As im on a plant based diet this is great for cacao smoothie(recipie fron Niomi Smarts book).I like this product very much. Rated 4 out of 5 by MrsB25 from Did its Job This is my first time using protein powders, so I can't compare to others. It did help me increase my protein intake and give me more energy, but it didn't agree with my belly :/ not sure I will purchase this again. Rated 5 out of 5 by BessieB from Still using this product after 3 years! Because it is what it is - plain hemp protein with no sweetness added used in a simple liquid it does what I need it to do. That is it fills me up and keeps me feeling full until the next meal time some 4 hours later.